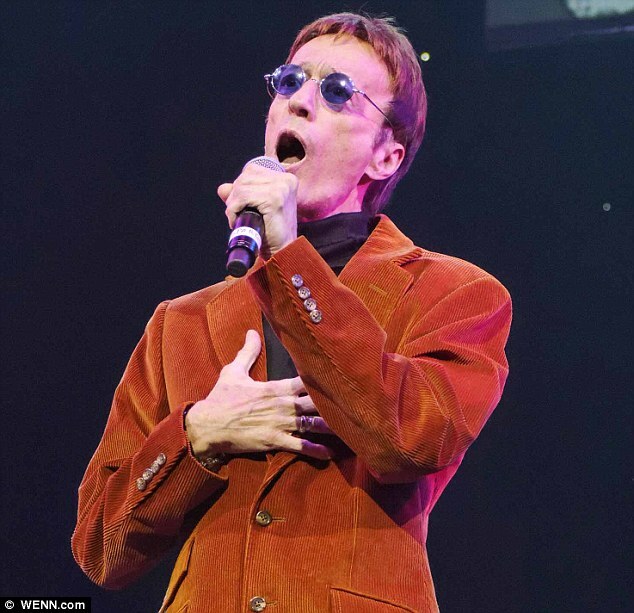 Liver & Colon Cancer – Robin GIBB in remission! 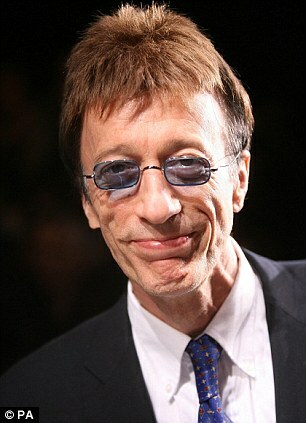 Robin Gibb is in remission after being told by doctors he is beating both liver and colon cancer, it has been reported. The 62-year-old singer had been taken back into hospital last month amid fears he was losing his battle against the deadly disease. But now Robin is said to have told his delighted friends and family that he is on the road to recovery, paying tribute to his devoted wife Dwina for helping him through the difficult times. He is quoted in the Sunday Mirror as telling a friend: ‘I could not have done it without Dwina. She has never left my side and is a wonderful person. Robin was first diagnosed with liver and colon cancer five months ago, causing him to cancel a string of gigs and appearances. But he last month the singer returned to the spotlight as he joined military trio The Soldiers for the Coming Home charity concert at the London Palladium, in support of injured servicemen. He closed the event with Bee Gees classic How Deep Is Your Love and I’ve Gotta Get A Message To You – which he recorded with The Soldiers last year in support of the Royal British Legion‘s Poppy Appeal. Speaking before taking the stage, he told fans he felt ‘fantastic’ and thanked them for their support. He happily posed for photos before walking out to massive applause at the iconic London venue. The star recently spoke out about his cancer battle, saying he had impressed doctors with his progress. He told BBC Radio 2: ‘I’ve been treated by a brilliant doctor, and in their own words, the results have been spectacular. He joked that medics had said he must be from ‘another planet’, before adding: ‘The prognosis is that it’s almost gone and I feel fantastic. Robin is also due to appear with the Royal Philharmonic Orchestra in April, for the premiere of his first classical composition The Titanic Requiem, to mark the centenary of the disaster. Details of his condition first emerged in October when he was forced to cancel several concerts and charity appearances. 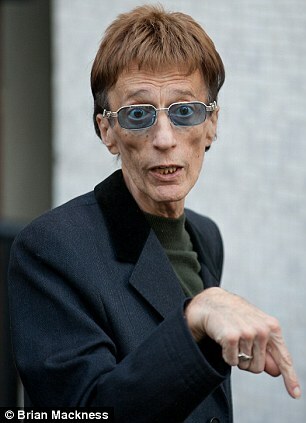 He also sparked alarm when he joined chat host Alan Titchmarsh the same month appearing gaunt and unwell. The singer has had repeated health problems due to a twisted bowel, a condition that led to the death of his twin brother Maurice nine years ago, at the age of 53. But he revealed he had been diagnosed with colon cancer which spread to the liver, but vowed to beat the disease and continued to write music. 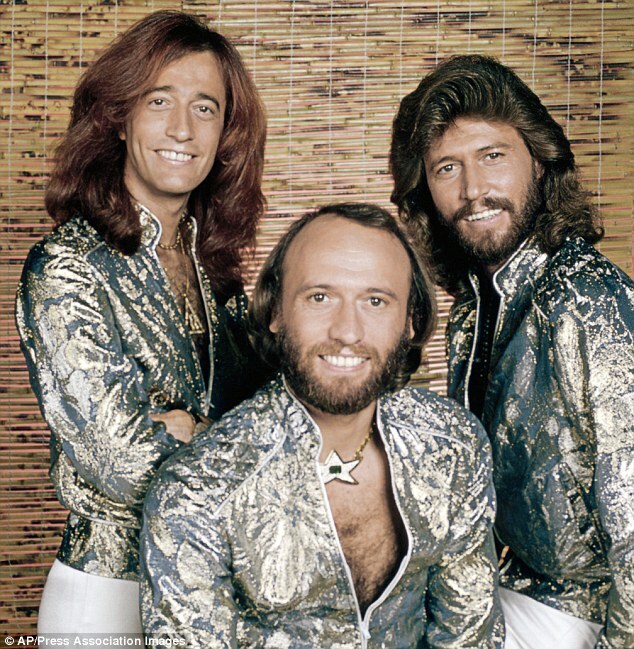 This entry was posted in Cancer in Remission, Colon Cancer, Liver Cancer, Robin Gibb. Bookmark the permalink.